The EUR/USD currency pair keeps moving inside the rising channel. At the moment we should expect the price to fall into the area of 1.3585. 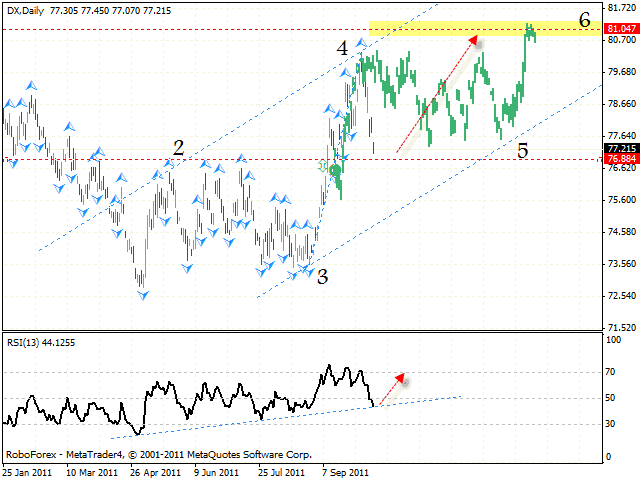 The price breaking the rising trend’s line at the RSI will be a signal to sell the pair. 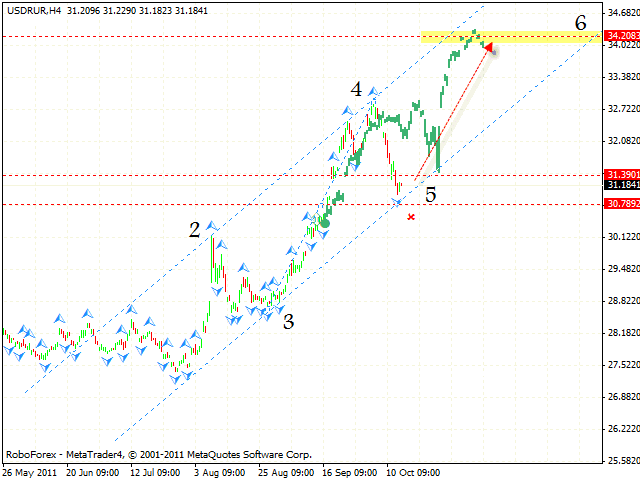 One can consider opening short positions on the pair with the tight stop above 1.3840. We recommend you to increase the amount of short positions only after the price leaves the rising channel. Analysis of the daily chart of Dollar Index indicates a start of the rising movement with the target in the area of 81. At the moment the price is testing the area where one can try to buy the pair. The price testing the trend’s rising line at the RSI is an additional signal to buy the pair. We should expect American Dollar to strengthen. If the price leaves the rising channel, this case scenario will be cancelled. 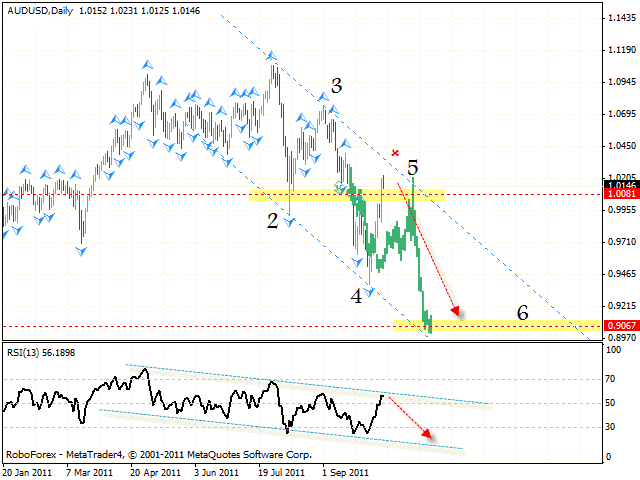 In case of the GBP/USD currency pair we should expect the price to fall into the area of 1.5340. 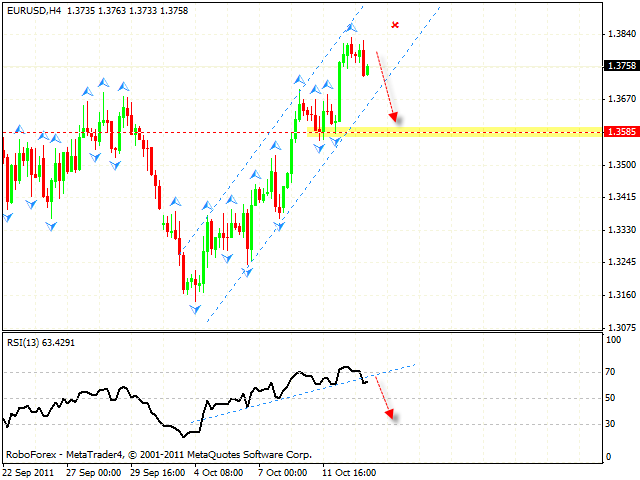 One can consider selling the pair only after the price breaks the rising trend’s line at the RSI. More conservative traders are recommended to open short positions after the price leaves the rising channel. If the pair grows higher than 1.5795, this case scenario will be cancelled. Franc keeps moving inside the descending channel. At the moment we should wait until the price breaks the trend’s descending line at the RSI, and then try to buy the pair with the tight stop. The target of the growth is the area of 0.9180. The stop must be placed below 0.8910. Australian Dollar is still under correction. The price got very close to the descending channel’s upper border, one can consider selling the pair. 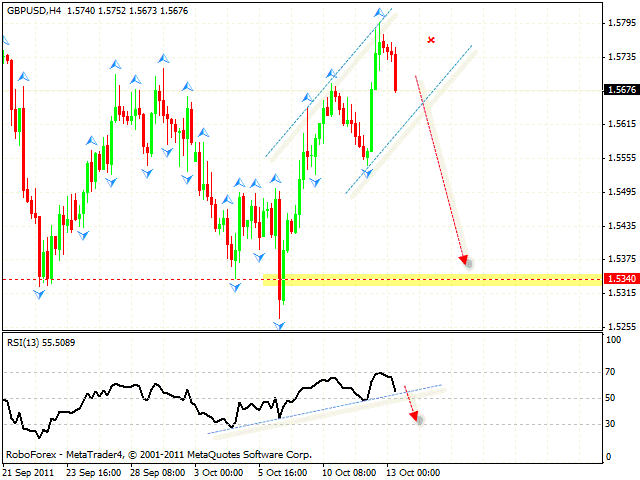 The price testing the descending channel’s upper border at the RSI is an additional signal to sell the pair. If the price leaves the channel, this case scenario will be cancelled. 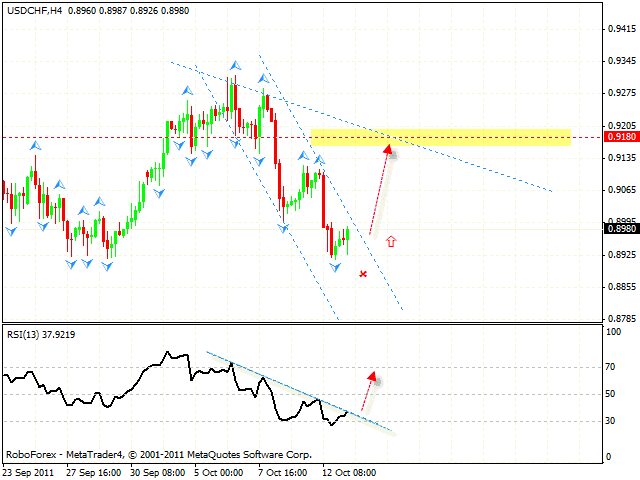 The target of the fall is still the area of 0.9060. The USD/RUR currency pair is moving inside the rising symmetrical pattern, the target of the growth is the area of 34.20. Currently the price is testing the channel’s lower border, one can consider buying the pair with the tight stop below 30.50. If the price breaks the channel’s lower border and leaves it, this case scenario will be cancelled. Oil is still moving inside the descending pattern with the target in the area of 64.97. 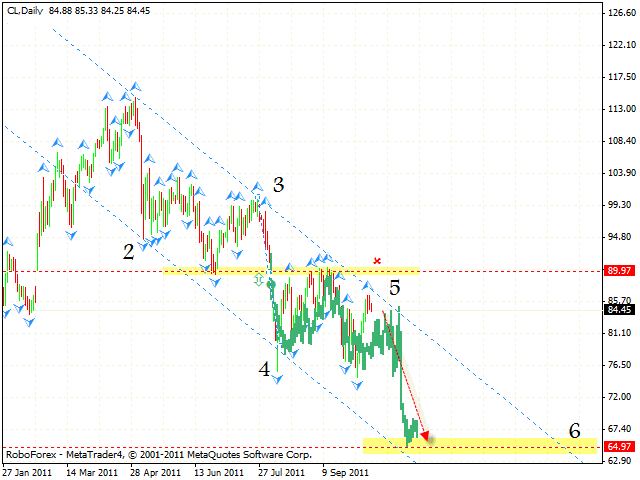 At the moment the price is near the channel’s upper border, one can try to sell the pair with the tight stop. If the price grows higher than 86.20, one is recommended to close short positions.